If you haven’t had the chance to pick this up already, now would be a great time to do so. 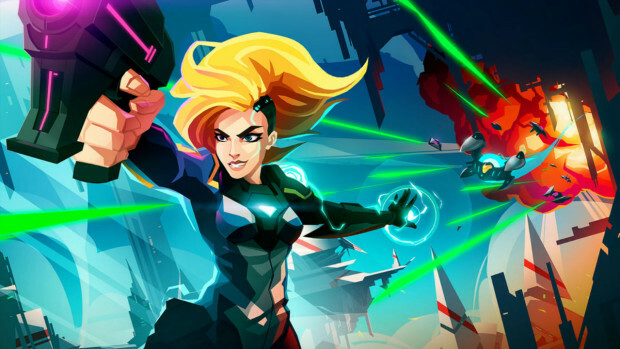 The platformer/shoot ‘em up hybrid Velocity 2X, which launched in 2014 for PS4 and PS Vita as a PS Plus game (before eventually making its way over to other systems like the Xbox One and PC) will be launching on the Nintendo Switch at last, as previously announced. The Switch version of the game will launch next week. 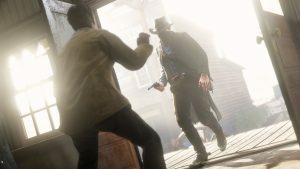 The Switch version is being described as “the ultimate version” of the game, with 1080p and 60fps confirmed for docked mode, and 720p and 60fps for handheld mode. Velocity 2X was one of the best games of 2014, that managed to fly under the radar because of the stigma associated with digital only games back then (in spite of it being made available to a lot of people via the PS Plus availability). It deftly mixes multiple gameplay styles, and delivers the kind of arcade gaming experience combined with a home console style grand science fiction adventure that is rarely seen these days. If you haven’t already played it, consider the Switch version, when it launches on September 20.